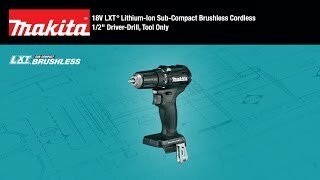 The kit includes an ultra-compact 2-speed brushless driver-drill with two speed settings that weighs only 2.8 lbs., and a variable speed brushless impact driver with two speed settings that weighs only 2.6 lbs. 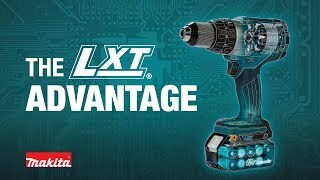 For more efficient fastening, the impact driver features Assist Mode (A-mode) which helps eliminate “screw cam-out” and "cross threading" by driving at low speed until tightening begins. The kit also includes an 18V LXT® Job Site Radio with Bluetooth® and MP3 compatibility. 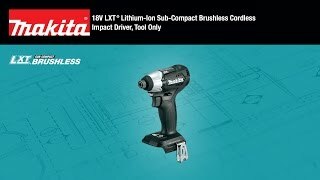 The kit includes two 18V LXT® Compact 2.0Ah batteries, and each reach a full charge in only 25 minutes on the efficient Rapid Optimum Charger – the fastest charge-time in the category – for less downtime and increased productivity. For added convenience, the batteries feature an integrated L.E.D. battery charge level indicator. Shipping Weight : 23 lbs.